§ Students will be allowed at least 10 minutes to eat breakfast and at least 20 minutes to eat lunch, counting from the time they have received their meal and are seated. Students are served lunch at a reasonable and appropriate time of day. 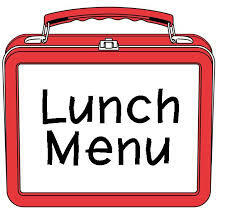 § Lunch will follow the recess period to better support learning and healthy eating. § The District is committed to ensuring that all foods and beverages available to students on the school campus* during the school day* support healthy eating. The foods and beverages sold and served outside of the school meal programs will meet the USDA Smart Snacks in School nutrition standards, at a minimum. Smart Snacks aim to improve student health and well-being, increase consumption of healthful foods during the school day, and create an environment that reinforces the development of healthy eating habits. A summary of the standards and information are available at: http://www.fns.usda.gov/healthierschoolday/tools-schools-smart-snacks. The Alliance for a Healthier Generation provides a set of tools to assist with implementation of Smart Snacks available at www.healthiergeneration.org/smartsnacks. § Rewards and incentives. Teachers and other relevant school staff will review a list of alternative ways to reward children. Foods and beverages will not be used as a reward, or withheld as punishment for any reason, such as for performance or behavior. Physical activity during the school day (including but not limited to recess, physical activity breaks, or physical education) will not be withheld as punishment for any reason. 1. Celebrations and parties. The district will provide a list of healthy party ideas to parents and teachers, including non-food celebration ideas. Healthy party ideas from the Alliance for a Healthier Generation and from the USDA.